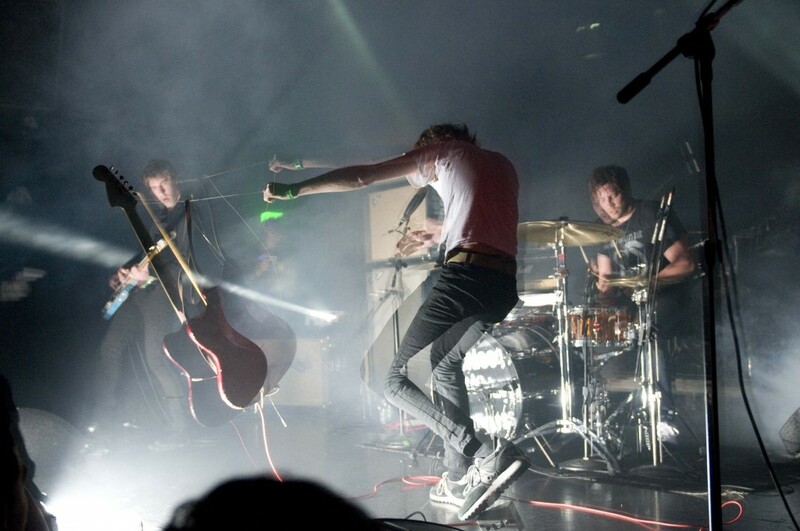 A Place To Bury Strangers to play Dublin. A PLACE TO BURY STRANGERS announce Dublin show! A frantic three piece that have earned a reputation from putting on berserk live shows that tither on the edge of dangerous. 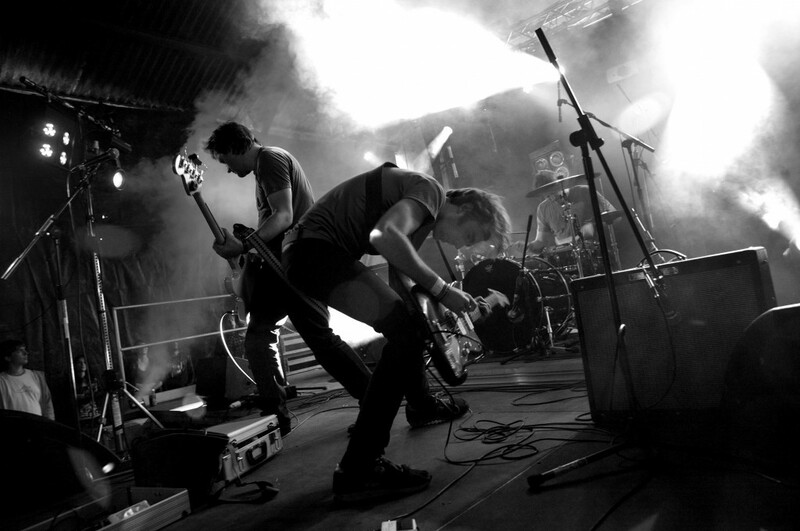 A Place To Bury Strangers are a band that have attracted the attention of the likes of Trent Reznor, (who liked them so much, he took them out on tour with NIN) and a whole host of other respected musicians. The Brooklyn based noise crew will be bringing the sonic rumble to The Workman’ s Club on March 31st! He should know. After joining the Brooklyn-based trio in 2010, it only took a few shows before Lunadon smashed his bass against his face. The freshly drawn blood trickled like rain off of a tin roof. But since the band often plays in the dark, he couldn’t actually see what happened. He had to keep going, and hope for the best. “That’s the most intense fear and feeling—when you go to a show and you’re actually scared,” says frontman Oliver Ackermann, a co-founder of the soon-to-be-shuttered Death By Audio DIY space that’s hosted its fair share of frantic, life-affirming shows. The same could be said for A Place to Bury Strangers‘ fourth album, Transfixiation. Rather than fixate on precious recording techniques and minute details, the members of the group — Ackermann, Lunadon, and hard-hitting drummer Robi Gonzalez — trusted their instincts and tried to keep things as pure as possible. If that meant a mess of cross-contaminated microphones and mud-caked mistakes, so be it. Music is much more exhilarating when it’s unpredictable, and from the tortured straight-to-tape transmission of “I Will Die” and molten funk melodies of “Straight” to the violent guitar spasms, cannon-like drums and not-so-idle threats of “Deeper,” this is very much an unpredictable record. Gonzalez makes his recording debut with the band here and he’s helped push the band’s recorded sound closer to the intense level of its infamous live shows. Considering how controlled the chaos feels at every turn—the mark of a band at the peak of their powers—it’s hard to imagine that Transfixiation almost didn’t happen. Having spent nearly two straight years on the road, the musicians figured they’d parlay that momentum into a new record as soon as they got settled back home. And while the self-produced sessions at Death By Audio led to some fantastic material, Ackermann hit a wall near the end of that initial month. He needed a long break. Two months passed by with little communication between the three members. Lunadon worked on other recordings, and Gonzalez retreated to a mountainous region in the Pacific Northwest. Meanwhile, Ackermann pieced together the set: fresh compositions, songs that had already been recorded in Brooklyn, and the fruit of an earlier recording session with Serena Maneesh frontman Emil Nikolaisen in Norway. Thankfully, everything clicked. A Place to Bury Strangers became whole again, with a bond—onstage and off—that’s arguably stronger than it’s ever been. A PLACE TO BURY STRANGERS play Dublin’s Workman’s Club on March 31st, tickets are priced €17.50 (inc booking fee) and are on sale now from Ticketmaster. For more information, please go to MCD for all the latest.